July has arrived and, as if by magic, that cool breeze that made the insufferable hours of sun more bearable has turned into a hot and sticky wind that seems to come straight out of hell. Summer has arrived in all its splendour and with it begins the torture for all those who don’t like to lie in the sun like lizards, all those for whom 20º is already too hot and, in short, for all those who keep a relationship of mutual hatred with the sun. At this point, all these strange beings wonder if we will survive another summer, if we will make it to our beloved autumn. Well yes, I am one of those weirdos and, after many years of experience, I have developed a method for survival in summer. Do not leave the house while there is sun outside. It is as easy as that, but unfortunately society has no mercy with us and although we don’t like it we must continue living by day. Locking yourself is not an option. Avoid going outside during the sun hours as much as possible. If you have no other choice, at least try not to do so during the midday hours, which is when the sun is strongest. And yes, try to always walk under the shadows. Use sunscreen, and I don’t mean just in the face, but in every single part of your body that is exposed to the sun. It is important that you keep in mind that, depending on the protection factor you use, the cream has a time of effect. In my case I have to reapply sunscreen every 2 hours. Cover your skin as much as you can. Sometimes wearing sunscreen on your arms is annoying, because it inevitably stains your clothes; in these cases what I do is put on a jacket and skip the odious cream. I know it sounds crazy to go out wearing jacket in a 30º summer afternoon, but for me it is the best option; you would be surprised about how much the heat diminishes with the fact that the sun doesn’t touch your skin directly. 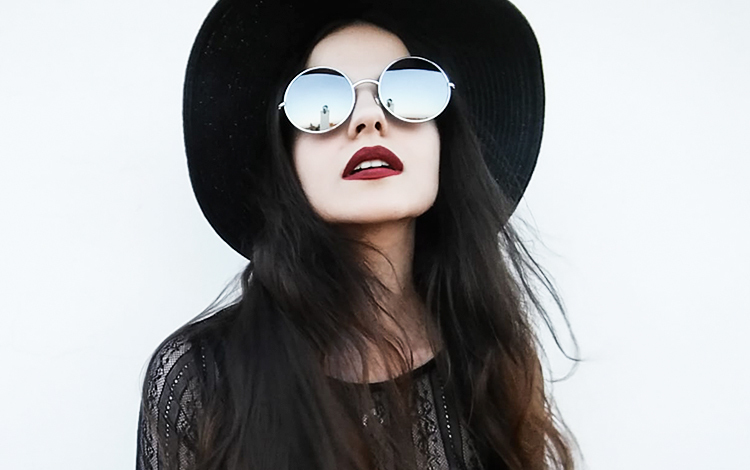 Sunglasses are crucial, because the sun is annoying and is harmful to both the skin and the eyes. Hats and parasols are an excellent idea, especially if you are prone to sunstroke. There are already many people who go out on the street with them so the excuse of embarrassment is no longer valid. Drink liquids, lots of liquids (preferably cold). Not only do they hydrate you, they also cool you from the inside and help you cope with the heat (remember you are wearing a jacket in summer). Always lean on the best invention in the world, the fan. I think that’s all. Every year my relationship with summer is worse and every year I discover new tricks to cope with it, so who knows, maybe in September I will have found some more tricks. I’ll tell you if I survive this year. Next Next post: Do you believe in ghosts?